When you need a lawyer, we can help. We have experienced and respected team members practicing in four important areas of the law — throughout the province. Although our home bases are Edmonton and Calgary, we are also a frequent presence in courtrooms in the North — including oil sands communities such as Fort McMurray and Grande Prairie. 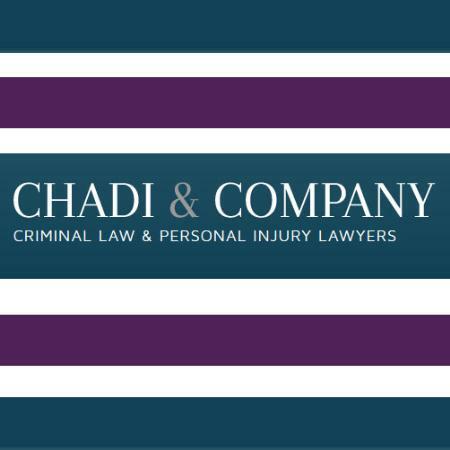 Our team is headed by Alberta lawyer Jake Chadi, a well-known and respected lawyer with over 25 years experience. Chadi & Company now has 11 lawyers in two offices and a sizeable legal staff. We are all equally committed to achieving results for clients — in the courtroom, in negotiations and in achieving settlements in cases. We handle hundreds of files every year — but we know each one is connected to an individual, a family and a real person who is in serious need of advocacy and legal support. That advocacy and support is the hallmark of our firm.